Grace Chon is a commercial and editorial animal photographer, internationally acclaimed for her highly expressive portraits of animals, and authentic images of people with their pets. Chon is also the author of 2 dog photography books, including her new book Puppy Styled. Grace's clients include celebrities, ad agencies, national brands, magazines and publishing companies. Her series “HAIRY”, was awarded in the Creatures category at The Fence 2018. The FENCE is an annual call for entries to be part of the largest outdoor photography exhibition in North America, with public exhibitions in Brooklyn (NY), Atlanta (GA), Calgary (Canada), Houston (TX), Sarasota (FL), Seattle (WA), Boston (MA), and Denver (CO). Photographers of all levels, from around the world, are invited to apply online at fence.photoville.com. You are known for your highly expressive portraits of animals, what make you start doing this? I was working in the advertising industry as an art director and was extremely stressed out and unhappy. To find some inspiration, on weekends I started taking headshots of homeless dogs to help them get adopted. As an art director, I knew that a strong portrait could draw in the viewer and make them interested in adopting the dog. This was really great practice because I learned how to very quickly build a connection with an animal, and draw out their inner and outer uniqueness. Tell us more about HAIRY, how did you come up with the idea of the haircuts? how were the shootings? 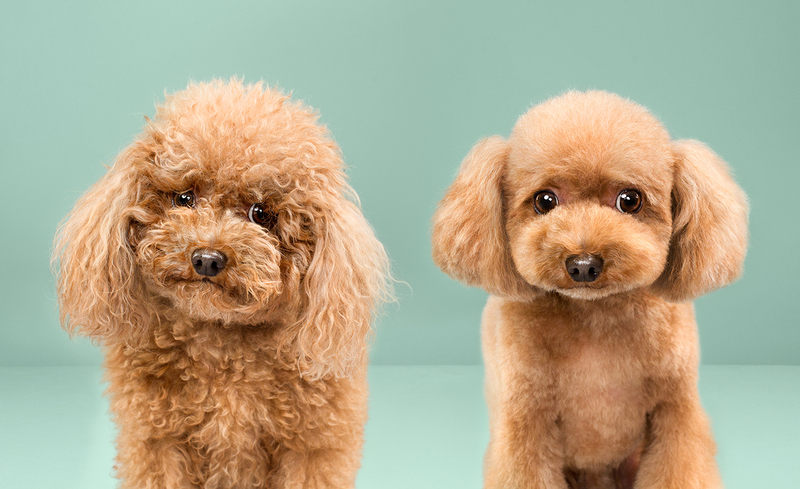 When I had the idea of photographing a before-and-after series of dog haircuts, I was immediately captivated by Japanese dog grooming. 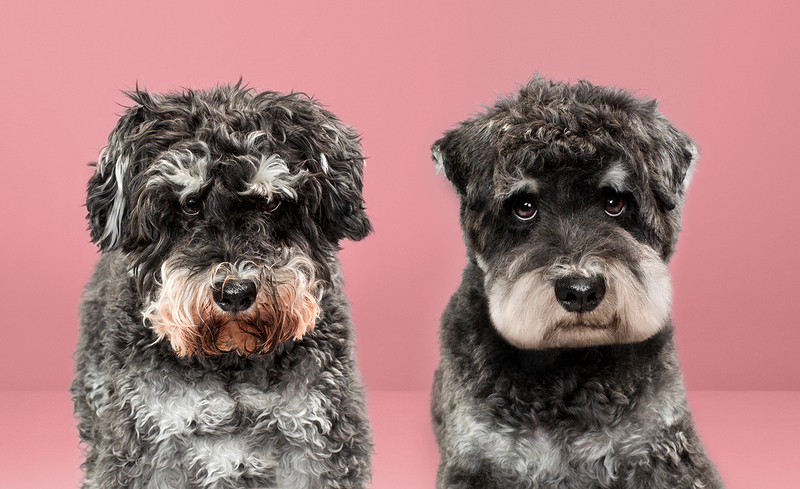 I was looking to create a photo series that combined all the themes I like to explore in my work—capturing the deep emotional worlds of dogs and their individual personalities, drawing out the unique cuteness of each character, and creating something explosively adorable. It would only make sense that I would be drawn to a style of grooming that has the same philosophy and goals. Japanese dog grooming throws the rigid and traditional rules of Western style dog grooming out the window, approaching haircuts from a completely different viewpoint. 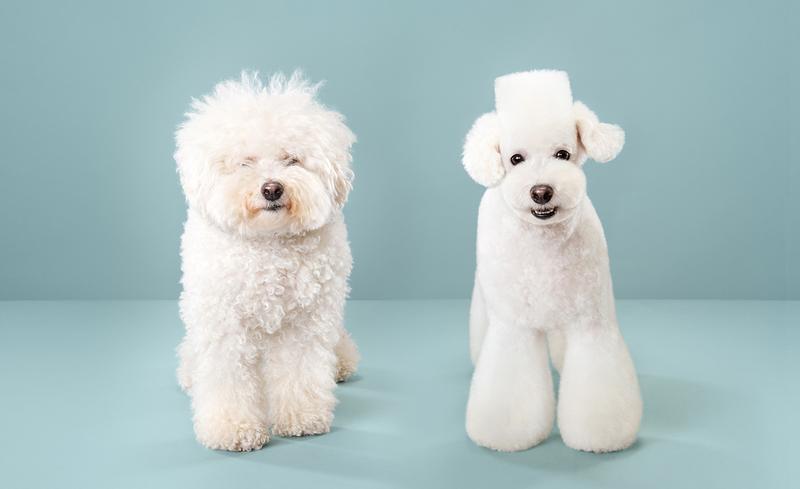 Rather than focusing on standard breed grooming which prescribes a style for each dog breed, it has one objective: to create cuts that bring out the animal’s unique personality by highlighting its cutest attributes. As an animal photographer, I strive to capture the individuality of each animal I photograph. I know dogs have deep inner worlds, and it is always my goal to capture their distinct essence in my work. For these reasons, Japanese style dog grooming resonated with me on a philosophical level. I was drawn to the idea of exploring change, and what it feels like to be physically transformed. 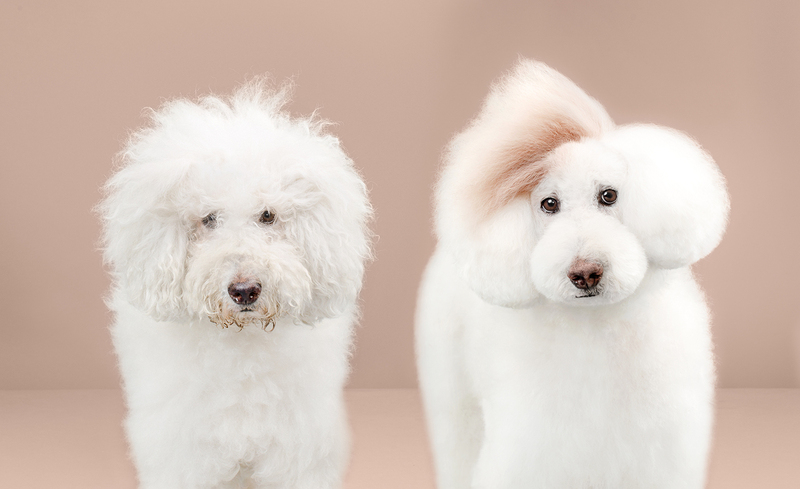 The entire series, called HAIRY, depicts 43 dogs before and after their whimsical hairstyles. I had 4 shoot days, each a month apart, and photographed around 10 dogs each day. We asked the owners to grow the dogs' hair out quite shaggy, and snapped a before shot of each dog before they received their makeovers. 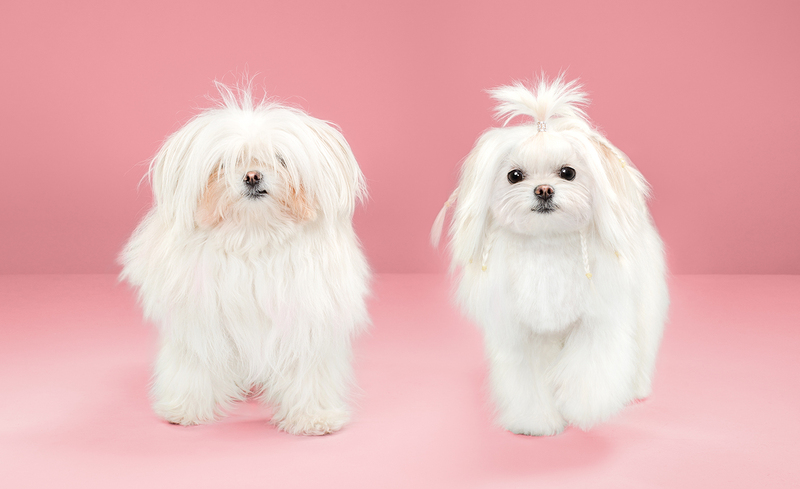 All of these dogs are not professional models and it was their first time being in front of studio lights. They did quite well! I am working on a new photo series exploring similar themes of individuality, subtle expression of emotion and higher consciousness in dogs. I also recently launched a podcast called Creativity School, all about empowering people to tap into their creativity and put great work out there. It's something I'm quite passionate about because I believe everyone is creative and can cultivate and nurture their unique talents.